The DiTocco Law Group, PLLC, provides comprehensive legal counsel and representation for South Florida individuals facing bankruptcy. Our lawyers understand that the decision to file for bankruptcy can be stressful and cause significant worry. That's why we strive to provide quality representation combined with personal service that addresses your concerns and meets your needs. Our principal attorney, Tony DiTocco, is an experienced entrepreneur. He uses his diverse professional background in business and accounting to help clients get back on track financially. Drawing on Tony's knowledge of finance, accounting and bankruptcy procedure, he and our staff of highly experienced customer service specialists assist clients throughout the bankruptcy process. Our services include Chapter 7 and Chapter 13 bankruptcy, navigating the Chapter 7 means test, automatic stay, dischargeable debts, foreclosure, repossession and creditor harassment. We also provide consultation on life after bankruptcy. At our law firm, we stand alongside our clients during this often difficult and overwhelming time. We seek to show clients that bankruptcy, contrary to its negative reputation, can be the means to a fresh start. There are many unforeseeable reasons people fall into debt, such as job loss, unexpected medical issues, and mortgage loan readjustment. No matter your situation, we are here to help you find stability through honest and hard-working advocacy. 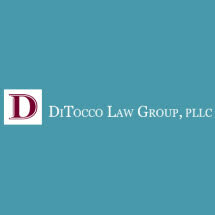 The DiTocco Law Group, PLLC is a law firm dedicated to providing the representation you need in the face of financial crisis. We use our knowledge and experience to help you understand the bankruptcy process and find creative solutions to your debt. As a service to our clients, we offer free initial consultations. Nosotros hablamos tambien espanol.